Food, food, and MORE food. 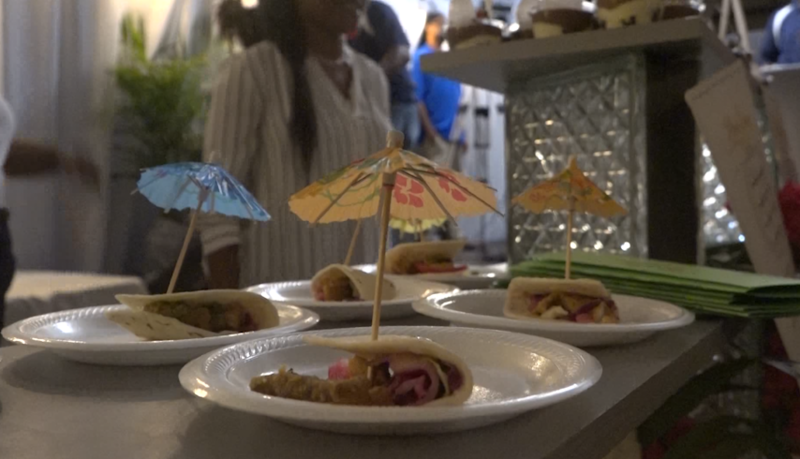 The 14thannual event highlights the best of VI cuisine and beverages and a packed room of eager taste-testers got to try it all. “I think it is a great way for the chefs in the area and the businesses to come out and show their culinary skills and we’re just glad to be a part of it,” Darin Richardson from St. Thomas said. Showing off their culinary skills, Julius “The Chef” Jackson. But rather than cook the food himself, Jackson taught his fellow cooks at My Brothers Workshop in St. Thomas and they wiped it up the recipe. “My trainers and my trainee all work together and make all of these awesome pastries so we have a quite of bit of variety today,” Jackson said. The Taste of Two Islands is meant to highlight the best of both St. Thomas and St. John. St. Croix has their own “Taste of St. Croix” event. But only one St. John restaurant was featured. Workers say it’s hard post storm to find the staff to man the restaurant when they come to showcase the food at this event. “We wanted to make sure the name of the event wasn’t a lie we are, I understand, the only representatives from St. John, so we’re proud to be here proud to represent the Island,” Chefs at Lucky Chops in St. John said. This year the event helped let people know what restaurants are back open after last years’ storms and get the word out about their business. Those trying to food had a way to get involved too. Judges had the tough job of trying all 24 dishes. Then they chose the winners. Mel’s in St. Thomas came in third. Jackson and his crew from My Brothers Workshop came in second. And Delly Deck in St. Thomas took both 1stprize and people’s choice. Full stomachs and smiling faces wrapped up the evening, with many saying they can’t wait to come back again next year for another taste.